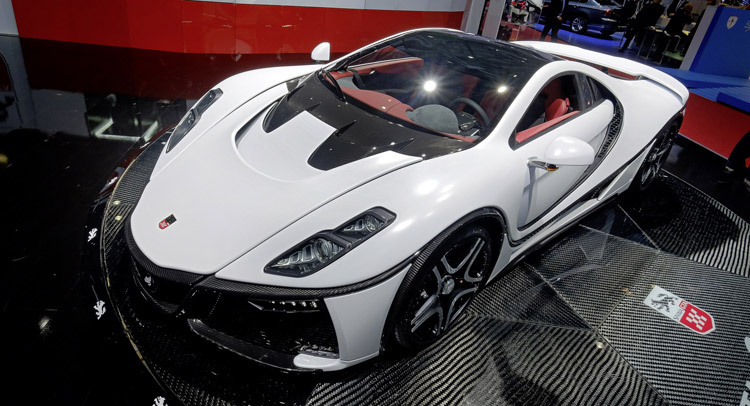 Graphene is a one-atom think layer of pure carbon atoms arranged in a honeycomb structure that is incredibly light, flexible, and strong, and the revised GTA Spano comes with plenty of it. Spania GTA says it sourced the lightweight material from "Graphenano, the top Spanish company in graphene production", using it on components such as the chassis, body and even the interior and engine compartment. In the process, the Spanish boutique carmaker refreshed the GTA Spano's looks with new front and rear ends featuring LED light fixtures, a fresh set of wheels, and updated the cabin. They also gave it their "own new" 8.0-liter V10 turbo with 925PS (912hp) and 1,250Nm (921.8 lb-ft) of torque, an increase of 25hp and 250Nm (184 lb-ft) respectively over the current 8.3-liter V10 mill. Since Spania has been using the Dodge Viper's V10 for a while now, it's safe to assume that the "new" engine is a derivative of that unit. The new GTA hits 0 to 100 Km/h (62mph) in 2.9 seconds and has a top speed of over 370 km/h (+230mph).